How do I find the circumcenter of a triangle in 3D? I want to find the circumcenter of a triangle. Wolfram only shows how to find the circumcircle of a triangle in R2. How can I find the circumcenter of a triangle in R3? m = a + ---------------------------------------------------------. Where m is the circumcenter of the triangle. 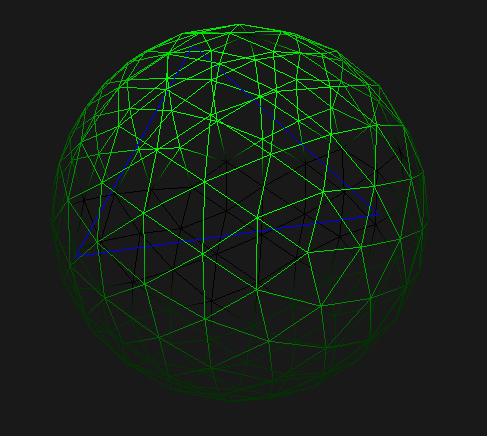 How to generate a rotation matrix or a quaternion (properly rotated in regards to texture coordinates) for each triangle of a mesh? How do I compute the point of a triangle-ray intersection?